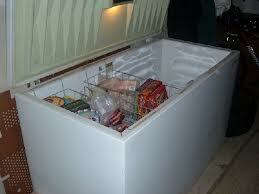 The main job of freezers is to keep heat out and preserved food frozen for a long period of time. When their parts break down, they fail to do so compromising the condition of the stored items and thus your health. If you have problems with your home freezer, allow our technicians to fix them. We offer quick freezer repair in Irvington, New Jersey. Our experts travel in fully equipped service vehicles and carry with them a variety of freezer spares to replace any damaged component. So you can trust our team at Appliance Repair Irvington to do any required freezer work in order to address problems. Rely on our expert freezer repairs. We don’t only help customers in Irvington quickly but also make sure their freezer is properly fixed. Depend on our emergency service when your appliance is not working at all or suddenly leaks. Our experts replace the worn and broken parts and do the job as fast as possible so that worst problems won’t emerge. When freezers leak, the kitchen floor might get ruined. When they stop working or their temperatures are not right, large quantities of food might be thrown away. But leaks are often caused by ice makers too and in this case, you can rest assured that our techs will fix them. As home freezer repair specialists, we can replace any part of the unit properly. We carry a variety of them in order to use the right one for your freezer. Our team is skilled with most brands in the marketplace and do superior quality work whether they have to make some new adjustments or replace components. Repairs are completed in one visit no matter what we have to do to fix a particular problem. Since these units are crucial kitchen appliances, we keep getting updated and rush to our clients’ aid every time there is a need for Irvington freezer repair.